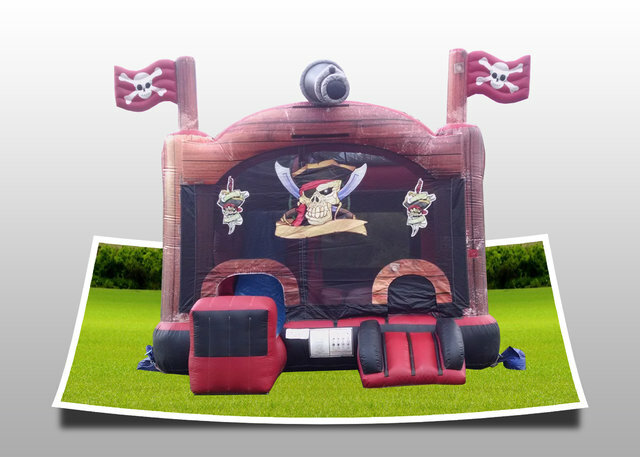 Pirate Combo Rentals | Renting a Pirate Themed Combo | The Inflatable Fun Co. This Awesome Pirate Themed 5 in 1 combo is sure to be a hit with your guests. It has a large jump area, basketball hoop, obstacle area,climb and slide.